Ms. Tuvesson serves as manager and editor for all RLA writing projects; supports business development and proposal writing; and manages RLA communications, including website content and e-newsletters. Before becoming a staff member, she provided RLA with copyediting and proofreading support for 8 years. As a freelance copyeditor/proofreader, Ms. Tuvesson reviewed more than 900 publications for national academies, universities, nonprofit organizations, think tanks, and journals. These high-quality technical documents covered wide-ranging topics in the broad categories of science, technology, engineering, medicine and health, health care, and education. They were presented in various lengths and formats, including reports, books, journal articles, meeting summaries, briefs and fact sheets, annual reports, and curricula. Ms. Tuvesson started her career with the Federal Reserve System. As a Bank Examiner, she conducted onsite examinations of the financial condition, operations, and regulatory compliance of member banks, prepared reports of findings, and managed project time to ensure compliance with statutory time frames. She also served as the Publications Manager for the National Alliance for Partnerships in Equity for almost 14 years. 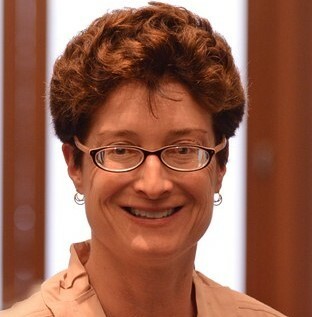 Ms. Tuvesson has a BS in finance from Lehigh University and an MBA from Drexel University.